Camera systems are often measured by their range of lenses and flash units consequently it is Canon and Nikon that are the benchmarks. But when it comes to flash Canikon actually use a lot of Olympus technology. So before we get to the review of the FL-600R we’ll have a look at just what Olympus pioneered in flash photography and how that relates to its current M4/3 system. One of the reasons why I first bought into the Olympus OM system back in 1983 was the flash system. For its day it was revolutionary and Canon and Nikon didn’t have anything like it. 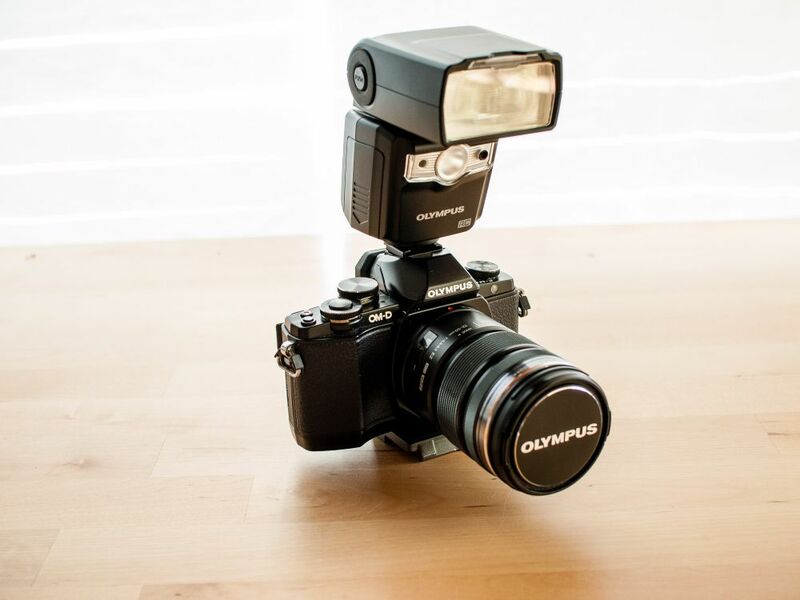 The OM2 was the first camera to have TTL metered flash. For those who have only ever known TTL flash you won’t believe how significant this was. It meant an end to worrying about guide numbers and subject distance, of getting lots of washed out looking images or hopelessly under exposed shots where the metering cell in the flash was confused by the amount of light reflecting back at it. All of a sudden we were able to get accurate flash exposures time after time. 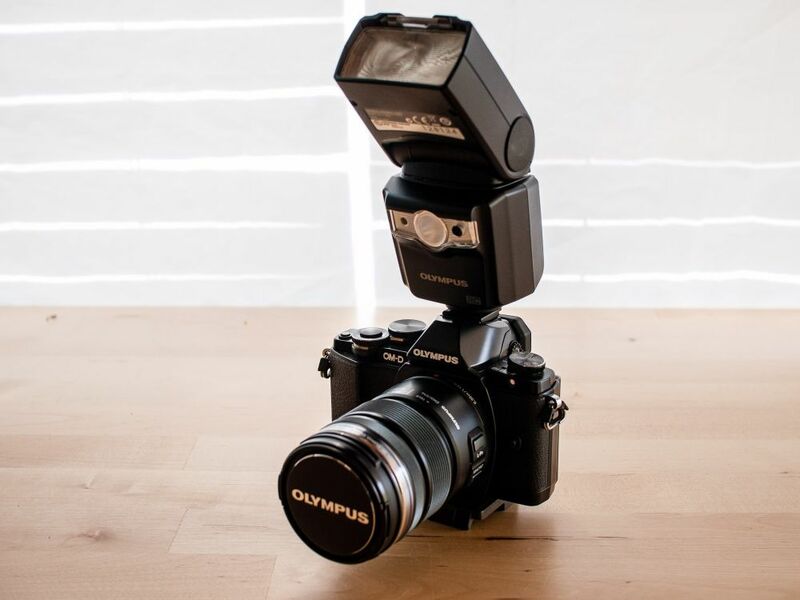 In 1986 Olympus launched the OM4Ti and the F280 flash gun. This combination was the first time full flash synchronisation at all shutter speeds on a camera with a focal plane shutter. Instead of firing a single light emission when the flash was used in conjunction with a shutter speed higher than the flash sync speed of 1/60 sec the F280 fired a series of short bursts starting when the first shutter curtain opened and finishing when the second closed. This was a big deal to wedding photographers as it meant that getting TTL high speed sync meant that fill flash was easy and didn’t involve spending a fortune on medium format cameras who were equipped with lenses that had leaf shutters. 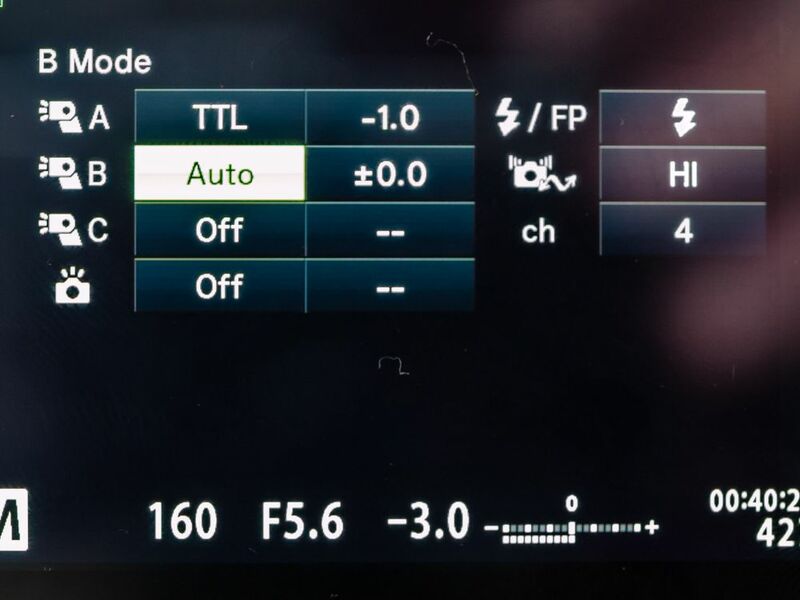 ii) auto flash – this is where the flash out is controlled by a sensor on the body of the flash unit. The flash fires at full power and the sensor measures the amount of light reflected back from the subject and quenches the flash emission. The results on camera can be quite good, but its biggest failing is when the flash is being used off camera. 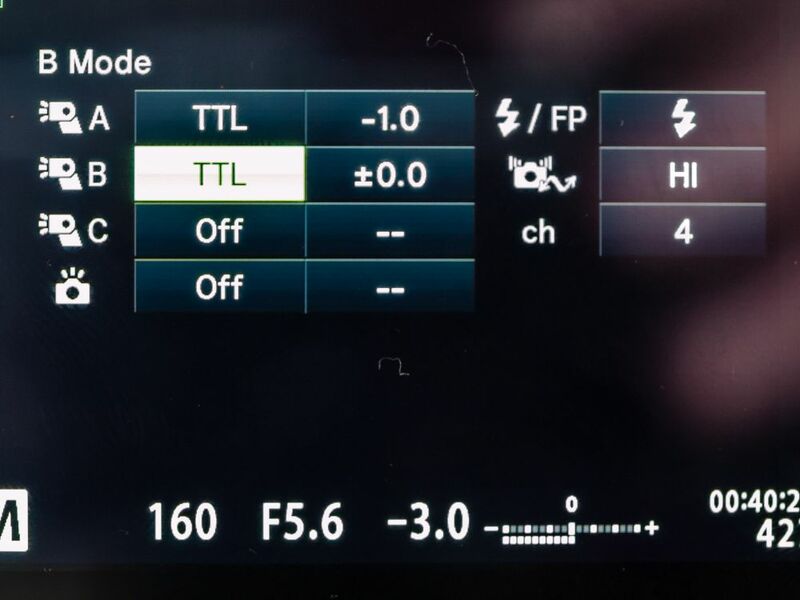 iii) TTL metering – this where the light from the flash is metered as it is reflected back through the lens. It offers the most convenient form of flash usage, but suffers from all the problems of any reflective metering system i.e. it can be fooled by excessively dark or light subjects. Olympus have tuned their metering system to protect the highlights for jpg users so the images can look under exposed. This is where the flash exposure compensation settings come in handy, and I’ll get around to explaining that shortly. i) The flash sync speed. I set this to the fastest that is available, which on my EM-10 is 1/250 sec. Although the flash guns like the FL-600R and FL-36R can’t use this setting the pop up flash or the little flash accessory that comes with all Olympus models without can. It is very handy for a little bit of fill flash on bright days. ii)Next you have a slow limit for when you use aperture priority mode. I like to use slow sync flash for creative effects so I have mine set to 30 seconds, but you may just want to limit the shutter speed to what you can comfortably hand hold. The range goes from 1/250 sec to 30 seconds. iii) The most important setting. Whether you have Exposure Compensation and Flash Exposure Compensation linked. I choose to have this set as off. The reason why is I shoot primarily in aperture priority and use exposure compensation to make adjustments to the image in tricky lighting. But when using flash being able to use these separately adds another creative string to your bow. The reason is that you are then able to alter your flash exposure and your ambient light exposure separately. I do a lot of shots where I mix daylight and flash and there are times when I want the flash to the main light (or key light) and day light (or ambient light) to be the fill light. If come from using the Canon flash system you’ll definitely want to do this, if you are used to Nikon then leave them linked. 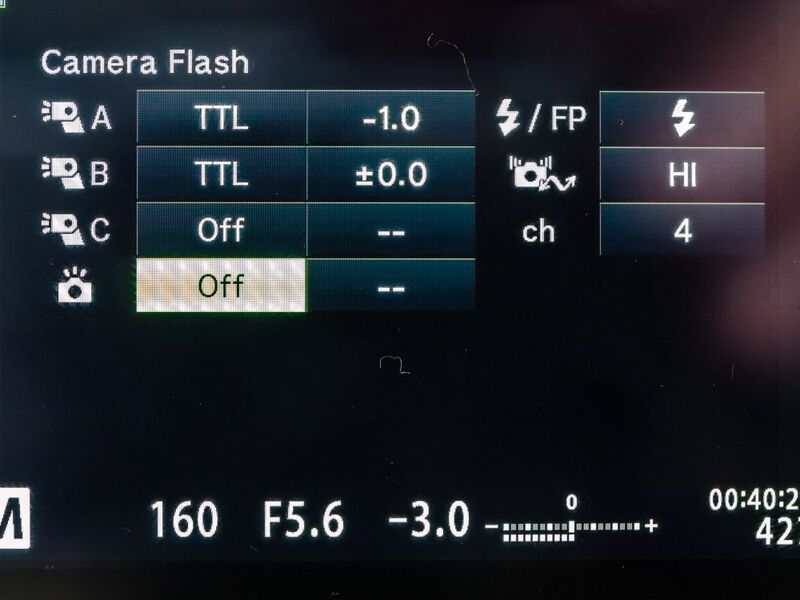 The Olympus flash system is controlled through a combination of the controls on the flash unit and through menu choices in the Olympus Super Control Panel (SCP). The controls on the flash can vary from very simple with just a couple of buttons to push or have quite a sophisticated menu system, it all depends upon the model flash. My Metz 44AF-1 has a grand total of five buttons and no LCD screen while the FL-600R has four buttons, a dial and a rocker switch to make changes through a menu system using an LCD display. Thankfully after a few choices initially the main controls are then managed via the SCP. Herein lies Olympus’ problem – the default factory setting for any of Olympus’ m4/3 camera is not to have the SCP enabled and their instruction books are so poorly written that it isn’t very clear how to do this. Personally I feel that the Live Control Panel, which is the default setting should be abandoned and the SCP should be the only interface to control the most frequently used settings. 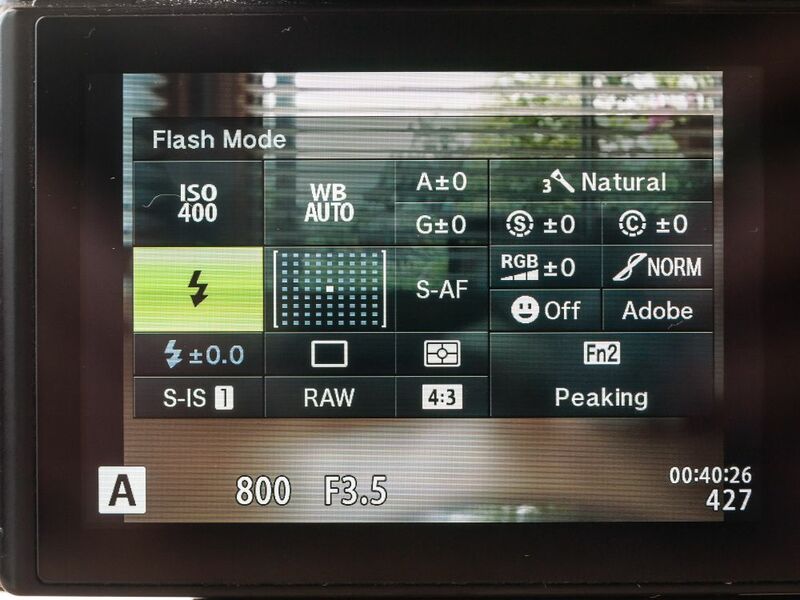 I also feel that some of the flash control settings aren’t needed and the menu could be simplified. Prior to using m4/3 I used the Canon EOS system and its flash system when used in conjunction with a fully dedicated flash and the Quick menu was simple to use and very intuitive. When I first started working with m4/3 and looked at the flash system my first reaction was to not use it and keep using the Canon cameras for flash. With time I have now switched to using m4/3 for everything. To change to the SCP, if you have not already done so, switch your camera on and press the OK button. This brings up the LCP. Press info and this changes to the SCP as shown below. The Super Control Pannel with the flash setting selected. If you select the flash section in the SCP as is highlighted above you can cycle through the various flash options. Auto TTL. Here the flash fires automatically when there is low light or the subject is backlit. TTL Fill Flash. This is where the flash fires irrespectively of lighting conditions. TTL Auto with red eye reduction. 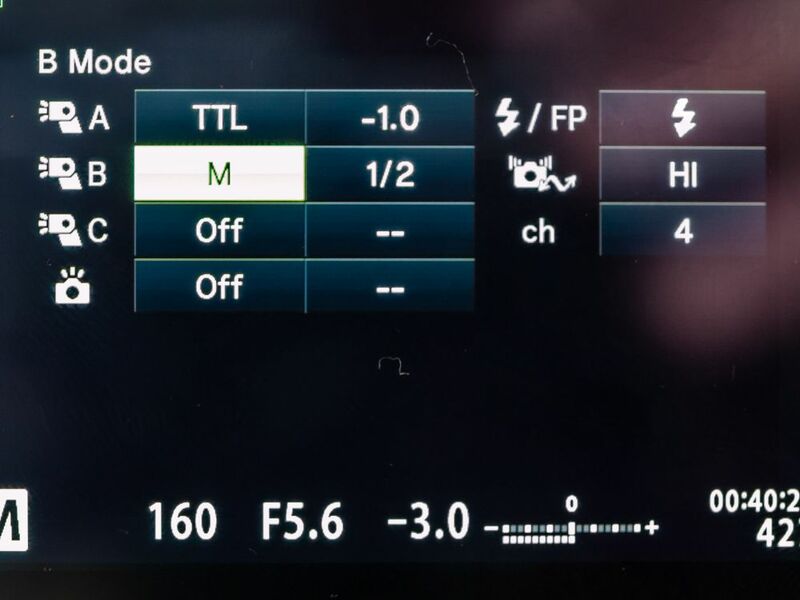 If you are shooting portraits with the flash on the camera this is the mode to use. Slow speed sync with red eye reduction. Slow speed sync with second curtain synchronisation. This means with moving subjects the light trail is behind the subject rather than in front of it as occurs with normal slow speed sync. Manual – this is where the photographer decides to control the flash by either increasing or decreasing the out put. 1 is full power, 1/2 is half power, 1/4 etc. Manual mode must also be selected on the flashgun. When shooting in TTL mode the meter reads the amount of light reflected back off of the subject to determine the “correct” exposure. As mentioned previously the problem with reflective meeting is that certain tones or surfaces can fool the meter into over or under exposure. This can be corrected for in the SCP by using the flash exposure compensation. The photographer takes an initial photo and reviews it on the LCD, I prefer to do this using the histogram, others swear by the shadow and highlight blinkies. The flash out put can be adjusted by up to + or – 3 stops. The adjustment just effects the flash output and not the global exposure value. This can also be used for creative effect particularly when shooting portraits outside in strong sunlight. Using full TTL flash when combined with the sunlight can give an unnatural look as there will be no shadows on the face, dialling in -1 or 1 1/3 stops preserves the shadows but allows us to see into them. It can also give a pleasing catchlight in the subjects eyes. Honey bee on a lavender flower. Olympus EM-10 with OLYMPUS M.60mm F2.8 Macro and Olympus FL-600R cash gun. Exposure aperture priority with high speed flash sync 1/640 s at f/4.0 ISO 400. 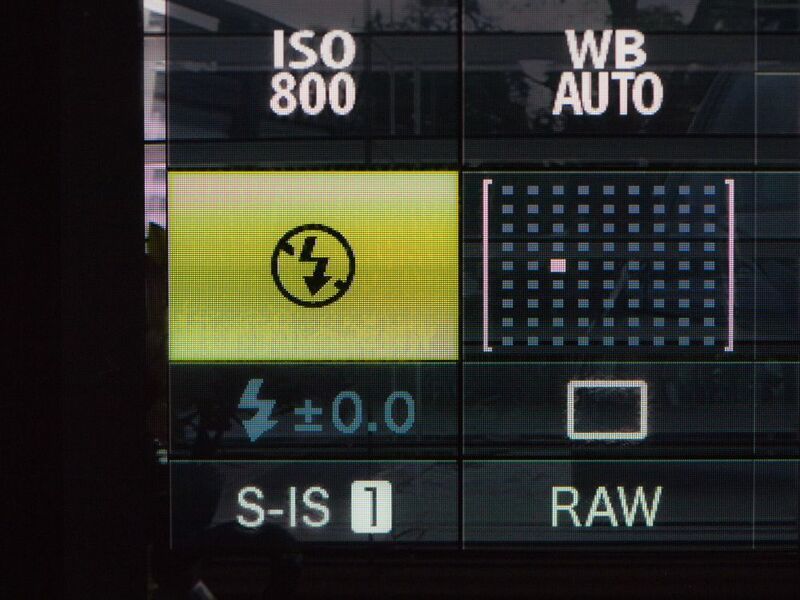 The non TTL modes of the flash must be selected on the flashgun itself. 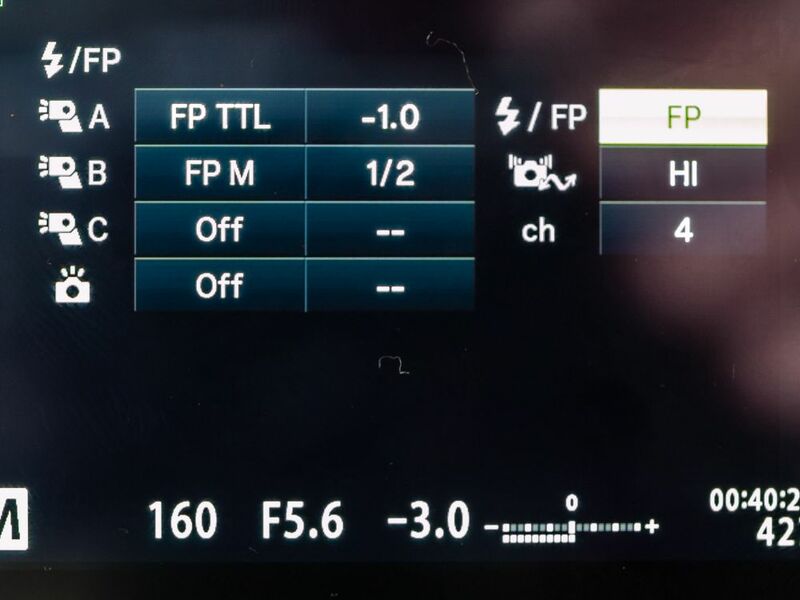 If you are using the Olympus FL-50R, the FL-36R or the FL-600R (and certain other third party models) you can shoot in FP mode in either TTL or manual modes. This means that you can shoot at shutter speeds higher than the maximum synchronisation speed (between 1/180 and 1/250 depending upon camera model) all the way up to your maximum shutter speed of 1/4000 sec (or 1/8000 for the EM-1). This a boon for shooting portraits out doors using fill flash. However, as with anything in photography there is no such thing as free lunch and the trade off for this is a reduction in the flashes output. Shooting a head and shoulders portrait with a 45mm lens using the FL-50R, the FL-36R or the FL-600R and you should be fine. Full length portraiture and you could be struggling. 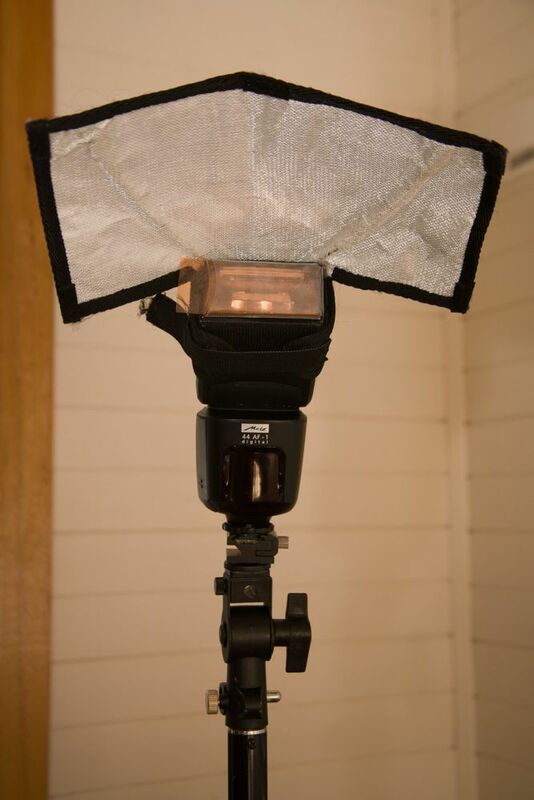 An Olympus dedicated Metz flash set up on a lighting stand ready to be triggered by an the RC mode on an Olympus camera. i) Olympus Flash Extension Cable FL-CB05, which at $144 AUD is ludicrously expensive. I bought an Aputure AP-TLO TTL cable for $25 AUD including postage off of Ebay. This is handy if you want to use a flash bracket to just get the flash away from the axis of the lens so as to prevent red eye or you want to do some close up or macro work and don’t want to buy a separate flash for it. If you are using an Olympus flashgun you will have to change the custom settings for the flash to enable this. ii) Remote Control or RC mode. As long as you have a model that was introduced after June 2011 when the EP-3 was announced and an Olympus Flash with the letter “R” at the end of the model number or a third party unit fully compatible with current Olympus TTL protocols including wireless, then you are good to go. Generally there is a lot of confusion about the RC mode because it is also referred to as wireless by Olympus and people assume therefore it a radio trigger. In fact the system works off a near invisible flash pulse from the control flash. This has a couple of downsides. The first being that the sensor on the remote or slave flash must have line of sight communication with the master control unit so this limits where you can put the remote and precludes the use of certain types of light modifiers. Secondly The range isn’t very great. Olympus says that it is 5-7m depending upon the “local conditions”. What I have found that you’ll only get 7m inside, outside in very bright sunlight the performance is very much reduced and in some cases will not work at all. To use RC mode, first you have to go into Shooting Menu 2 in the main camera menu and turn it on. This now enables the flash control menu in the Super Control Panel. To access it you either need to pop up the built in flash on your camera, or if you don’t have one then put in your accessory flash FL-LM2 in the camera hot shoe or use a larger external flash that has RC controller capabilities. Then access the SCP panel as normal. 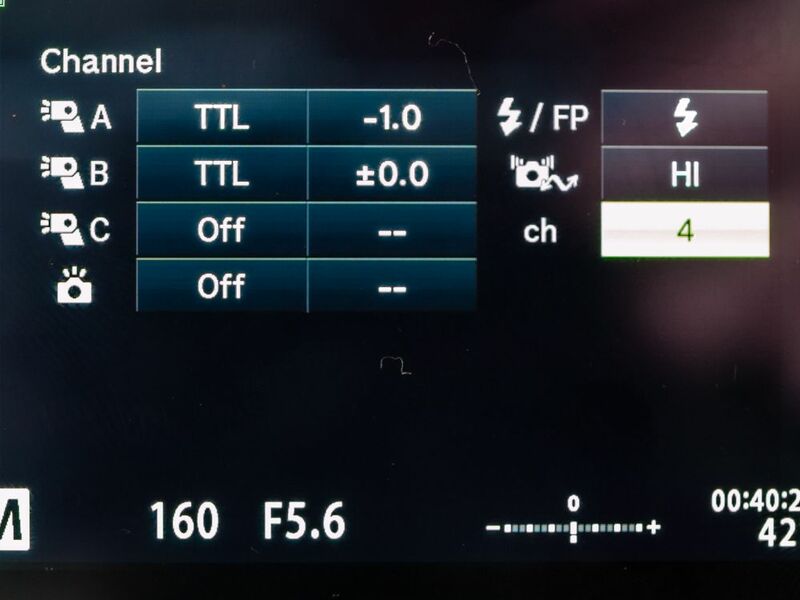 The blinking camera icon is for controlling the onboard flash. It can be set to TTL, manual ( full power down to 1/64) and off. I generally leave it as off because when I use RC mode I don’t want the onboard flash contributing to the exposure. Even though it says off the flash still emits a series of pulses of nearly invisible light to transmit information to the slave flash units. The FP box is highlighted here. The choices are FP or high speed sync (remember that this is a function of the flash and so your flash must have this ability to use it), and normal flash sync. Underneath is an icon that looks like the camera is shaking because it has had an electric shock. That sets the the intensity of the light pulse of the commander unit (Low, Medium, and High) I leave mine at high all the time as it is then one less thing to worry about. It is important to ensure that both your RC controller and your slave flashes are set to the same channel. In the event of several m4/3 users wanting to all shoot with RC flash at the same time you can set up so you use a different channel. You can have three groups of flash and although Olympus states that technically you are not limited to how many flashguns can be in a group they also say that three is probably the limit due to “interference” (page 36 of the English instruction manual for the FL-36R). Here I have A and B activated in TTL mode. You can also use the manual exposure for flash in RC mode and you can set the power output via this panel. This is a very nice feature if you have your lights set up on stands you don’t have to keep walking over to the light and fiddling with it you can do the adjustment from your camera. RC Auto lets you trigger the flashes remotely but the metering is done by a cell on the flash and it measures the light reflected back from the subject. Not a mode I could see myself using as it is quite an imprecise way of working and TTL or Manual offer far more control and consistent results. So although it seems complicated the Olympus flash system offers an impressive range of features that allows for creative lighting techniques. With a small range of lighting modifiers such as diffusers, bounce cards, umbrellas etc you are able to produce “professional” looking photos. The video below is a summary of the above. The next part of this will look at the FL600-R flashgun and how to specifically use that in conjunction with a m4/3 camera.